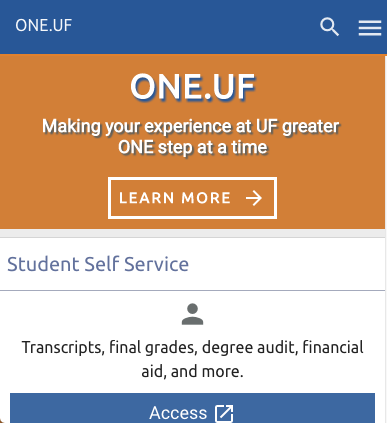 Attention COE Graduate Students: Please remember to complete the EduGator Central (College of Education Office of Student Services) survey regarding your needs as graduate students: https://ufl.qualtrics.com/SE/?SID=SV_80J2O27TH06iQiV Please submit your survey responses by Monday, May 2nd. Thank you for your feedback! You are cordially invited to submit a proposal to this year’s 16th Annual AAER Conference. Proposals are peer reviewed and may include completed research or research in progress. First Round Submission Deadline is June 30th. Additional details located here. Please join us for our annual O2B a Kid Again FUNdraiser benefitting the Education Foundation of Alachua County on Sunday, May 1 from 5-8pm! Proceeds from the party help support teacher and school grants, and teacher recognition programs. Tickets are just $12.50 each for ACPS employees and their guests. $25 for the general public. Tickets are on sale with a designated O2B fun counselor at each school or our contact information is below. This year’s party at O2B Kids on Newberry Road will feature a BBQ supper and fun food from Bono’s, Dominos, Sonic, Rotary Foundation Fryers, and Subway with additional surprise treats, and adult beverages, soda and tea. backyard. Gators Dockside will host a Wing eating contest at 6:00pm. The principal’s event will be at 6:45pm and will be fun! It’s for all the MARBLES and a cash prize for your school. Corks and Colors will be doing fun art projects in the art room. We will have our fabulous silent auction with hundreds of wonderful items including theme park tickets, artwork, restaurant gift cards, summer camps, tickets to fun events AND MORE! Silent auction closes at 7:15pm and the line for payment will open sometime after 7:30pm… so plan to stick around for Jamie’s second set. The Alachua County Public School Job Fair will be Saturday, May 7th from 8am to 12pm, at the Hilton University of Florida Conference Center. PRE-REGISTER here to secure interview time slots with Principals. See flyer for additional details. Is a Heartland District right for you? Watch our video to obtain more information about teaching in Heartland. Pre-registration for the event required. More information pertaining to our Districts, the event, and registration process can be found on the here and on our website: http://www.heartlanded.org/programs/newteacher.htm. This course addresses the representation of the Holocaust in popular culture and in children books that discuss the Holocaust directly (as in Anne Frank) and ones that address indirectly violence, scapegoating and human cruelty (as in Lord of the Flies). The discussion also encompasses the politics of the Holocaust and what the memory of the Holocaust might mean to different groups and individuals. The course will compare the treatment of the holocaust, racism and genocide in books such as Night, The Diary of Anne-Frank and Maus: A Survivor’s Tale with a more general discussion of violence and racism in books such as The Wave, Animal Farm, and Lord of the Flies (as well as Shirley Jackson’s short story, “The Lottery.”) The main texts for this course will be two books out of the Harry Potter series (The Goblet of Fire and The Deathly Hallows), a series which has been intended for children, and which makes almost no mention of historical events and identity while speaking of purity of blood, racial violence and (eventually) state-run racial persecution. Course offered M T W R F during Period 3. We have an opening for an elementary counselor at Joyce Bullock Elementary (pk-2nd) half time and Bronson Elementary (pk-5) half time for a full time position next school year. Both are outstanding schools with supportive administration and you would be working with two experienced counselors. Williston and Bronson are only 20 minutes from Gainesville so it might be easier to drive there than across town in Gainesville. ​Please contact Lisa Gant, Joyce Bullock Elementary School Counselor, at 352-528-3341. More information available at http://www.levy.k12.fl.us/. A National Blue Ribbon School of Excellence where Faith and Knowledge Unite located in Gainesville, Florida is seeking a Middle School Mathematics teacher and a Middle School Social Studies teacher for the 2016-2017 school year. The ideal candidate is a practicing Catholic oriented to academic excellence with the ability to differentiate learning and integrate instructional technology. Applicants should hold or be eligible for relevant certification in the State of Florida. Resume, Diocesan Employment Application, and three references from an educational setting should be sent to Principal Tammie Vassou at tcvassou@qopacademy.org. CITY YEAR- Final Application Deadline! City Year is currently accepting applications for the 2016-2017 school year. City Year is an education based Americorps program that employs 18-25 year old individuals to serve as full-time tutors and mentors in high poverty schools in the country. Serve where you want! City Year is based in 27 cities from Los Angeles, CA to Little Rock, AR and provides the opportunity to explore a new place. City Year also provides extensive training, a weekly living stipend, access to exclusive scholarships, an education award of $5,775, leadership development, and more! The department is looking to fill slots in special education, secondary mathematics and secondary science. The state also needs teachers who are willing to work in hard-to-fill positions in rural neighbor island areas and Oahu’s Leeward Coast. Financial incentives are available. Article here. Southern Teachers currently has over 1300 teaching jobs listed by schools around the South for the 2016-2017 school year. For more information and to apply, please click here. Upward Bound is looking for Educators! The Upward Bound Program is an educational program housed at Santa Fe College and funded by the U.S. Department of Education. Upward Bound provides opportunities for high school participants to succeed in their precollege performance and ultimately in their higher education pursuits. We serve: high school students from low-income families; and high school students from families in which neither parent holds a bachelor’s degree. The goal of Upward Bound is to increase the rate at which participants complete secondary education and enroll in and graduate from institutions of postsecondary education. We provide academic instruction and supplementary Saturday sessions in mathematics, laboratory sciences, composition, and literature. Tutoring, counseling, mentoring, cultural enrichment, work-study programs, education or counseling services designed to improve the financial and economic literacy of students. Ms. Katrina Johnson is seeking a tutor for an undergraduate senior who needs assistance for preparing for the Florida Teacher Certification Examination (focus on mathematics). Open to twice weekly; one hour each session. Please contact Ms. Johnson at 352.256.1011; kvj481@aol.com if you are interested. Contact Luke Flory at: flory@ufl.edu or 352-231-2376 about needing a nanny starting in the fall. It would be M-Th after school and maybe some other times. In the fall the kids will be (essentially) 11, 9, and 7. And they attend PK and Williams Elementary schools. I am looking for a responsible college student or students to provide safe and reliable transportation for my 15 yr old daughter from May 2 thru June 10. I will need someone to be available to provide transportation on Wednesdays and Fridays between 3 and 5 pm as well as occasional Mondays and Thursdays during this time. Beginning on June 13 through the rest of the summer, I will need someone to be available on Monday and Wednesday mornings between 8-9:30 and Wednesday and Friday afternoons between 3:00 and 4:00. I will consider hiring one individual for the morning and one for the afternoon if schedule availability can not meet all the scheduling needs. A safe vehicle and a safe driving record are a must! References are required. If interested, please call Jill at 352-256-3421 for further information. Looking for a tutor that has the educational skills and patience to tutor my 12 yr. old 6th grade daughter in the subjects of math, science and Social Studies. Possibly able to continue tutoring her 7th grade year as well. My daughter has been diagnosed with ADHD she is very smart but gets bored/loses focus very easily. Tutoring needed Mondays and Wednesdays or Mondays and Thursdays for one hour during the times 6:00-8:00 (whichever time slot/days that works best for you). We can discuss a neutral location to meet. If interested and for further details please email me wordkl@ufl.edu. Volunteers needed for the summer beginning June 20th for 16 weeks. Monday-Thursday 8-4 pm at Duval Early Learning Academy. Please contact the Disability Coordinator at Alachua County Schools at 352-955-6703 ext. 2109 if you are interested. W.W. Irby Elementary will be providing “Parking lot Car Wash and Detail” to our teachers during their planning hour on either Tuesday, May 3rd or Thursday, May 5th. Students interested in giving a few hours to show teachers how much they’re appreciated, please contact PTA VP, Mr. Jeff Bell at jbell69@ufl.edu. The University of Florida Student Health Advisory Board (SHAB) is now accepting applications. 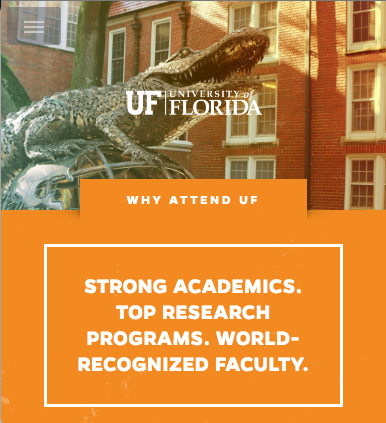 Comprised of six faculty/staff and 12 students, SHAB provides UF’s Senior Vice President for Health Affairs advice concerning policies and procedures of the Student Health Care Center (SHCC). SHAB regularly reviews the quality of care rendered at the SHCC, as well as recommending and approving policies, procedures, programs, financial status and both long- and short-range planning. The application deadline is Monday, May 9 at 4:30 p.m. Learn more and apply online via the SHCC website. The GREEN Program has been awarded the “Top Summer Abroad Program” for 2015 by Abroad101, and we would be excited to have your students join our short-term experiential educational programs. Our programs are designed to enhance their skills with unique experiences to perfectly compliment the knowledge gained in the classroom, to accelerate their careers towards the Sustainable Development Goals. Contact brady@theGREENprogram.com for further information. Inquiry Showcase: You are cordially invited to attend the 2016 Spring Semester Inquiry Showcase. This event allows all comers to share in the research conducted by practitioner researchers of all levels on their personal and professional practice. Showcases like this allow researchers and those interested in the ongoing dialogue on education to meet to discuss research and celebrate the practitioners’ dedicated inquiry. Please attend Thursday, April 21st from 3 – 7 PM beginning in the Norman Hall auditorium. We look forward to seeing you there! Looking for a tutor that has the educational skills and patience to tutor my son, a 6.5 year-old-boy in first grade. He has been dx with ADD/ADHD combined and tends to get bored easily. He is very smart but may easily lose focus. Tutoring needed on Tuesdays and Thursdays for at least an hour. Ideal would be from 6:30 to 7:30 pm. We live near SFC in the Weatherly Subdivision. Please email cst@torreslawfl.com. I am seeking an experienced, responsible, fun part time babysitter for 2 girls ages 7 and 10 for 2 days a week. Hours would be Mondays and Tuesdays from 2:45pm to 6pm and would be at my house in the southwest Tower Road part of town. Pay would be $12 an hour. Duties would include help with afternoon homework, and keeping the girls entertained till their father gets home from work. Job would start immediately and would be a permanent weekly job. Occasionally, an extra day might be need but will be based upon your availability. Please email Alida at the following address: adila05@msn.com Please include a resume if possible, all references, and any questions you might have. Arduinos are open-source microcontrollers that allow you to connect sensors to create interactive projects. This workshop introduces participants to prototyping and basic programming using Arduinos to create a light-sensitive alarm. No prior experience with either Arduinos or programming is necessary. Participants are required to bring their own laptop. The other necessary technology will be provided. For questions, contact Emily Brooks at emily081390@ufl.edu. Join UF Best Buddies for their 2nd annual Friendship Walk on Sunday, April 17th! Norman Field, 8am-11am. Games, raffles, performances, fun, and FRIENDSHIP! Help us open new chapters of Best Buddies in the North Florida area. For more information and/or to register, visit www.bestbuddiesfriendshipwalk.org/gainesville. Questions? Contact Sarah Gaies (sgaies@ufl.edu) or Kathleen Johnston (kjohnston24@ufl.edu). Attend a FREE virtual teacher recruitment job fair from your home, college campus or anywhere in the United States. Schools and districts nationwide will recruit new and experienced teachers for all grades and all subject-areas. You’ll be able to engage in real-time individual and group chats with recruiters, principals and other education leaders. REGISTER NOW! Success in Service: Life After Peace Corps is a TED-style event in which diverse and accomplished Returned Peace Corps Volunteers visit to share fascinating stories about how their Peace Corps service impacted their personal and professional trajectories. 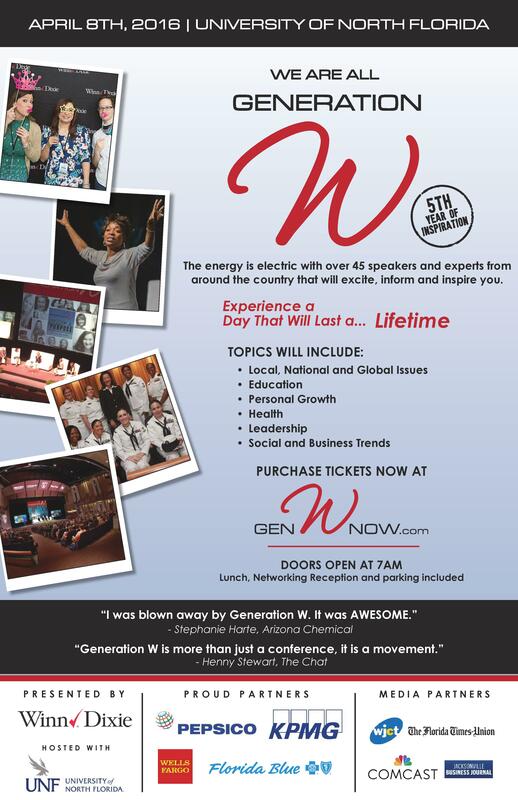 Through storytelling and networking, speakers will inspire you to consider the role service could play in your own life. Are you interested in Being Part of the Contiuum Team? Seeking three graduate students interested in working 20-25 hours/week. Housing on one side of a 2 bedroom apt ($884/month) at the Continuum is the compensation. 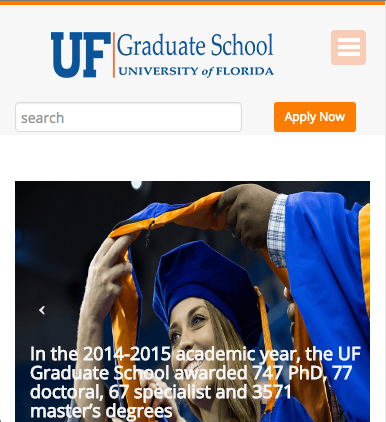 Must be in UF grad –professional program/faculty or staff at UF to qualify. Application closes April 15th to start mid-May. Click here to apply. Questions? 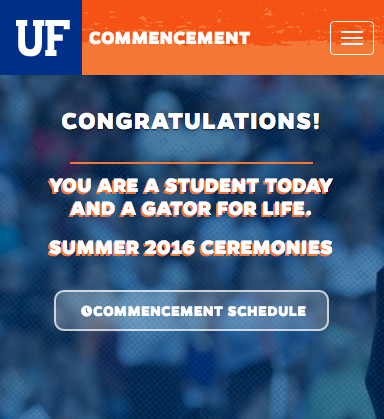 Contact UFContinuumCommunityAssistant@housing.ufl.edu. STRIVE@GatorWell Health Promotion Services currently has peer educator openings on both the graduate and undergraduate levels. We are especially searching for a number of students willing to perform improvisational theater to teach prevention skills. Deadline for applications is April 15th. All majors and identities encouraged to apply. Please join the College of Education’s Food Drive benefiting the Field and Fork Campus Food Program! Field and Fork Mission: The Field and Fork Campus Food Program is a collaboration to create awareness about food insecurity and sustainable food practices. The program seeks to not only provide healthy food, but educate Gators on how to make balanced food choices. Please see flyer for details.